By popular demand, Oliva released the Nub Maduro variant following the success of both the Connecticut and Habano wrappers. Having reviewed both of these and the team being loyal fans of the brand, we thought it was only fair that we’d give the Maduro a review as well. Scroll down to read the whole thing or use the links above to jump ahead. Oliva have set themselves apart from other manufacturers in creating the Nub, which is almost a brand in itself. Distinguishable by their short length yet large 60 ring gauge, they’re an intense yet fleeting experience. 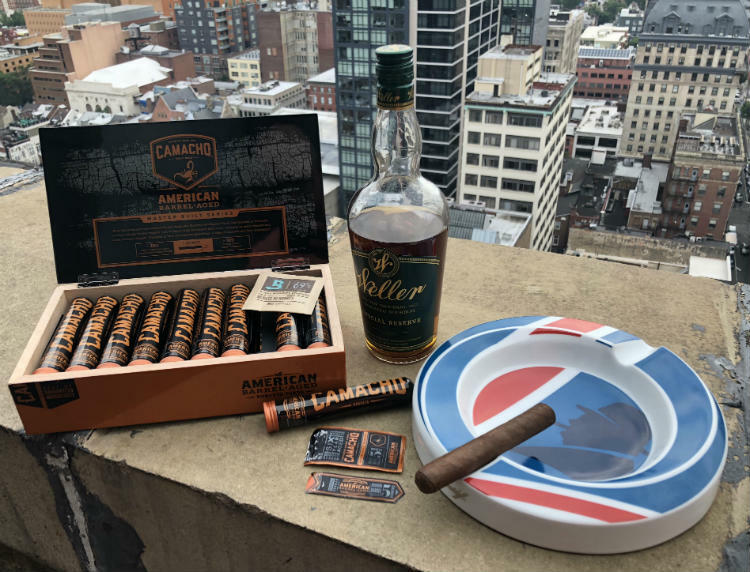 Thanks to this convenience, they’ve become a popular cigar for those who don’t have the time to enjoy longer vitolas as they tend to endure somewhere between 30 to 40 minutes. Although other brands offer Gorditos, Nub seem to have mastered this art. As the third iteration from the Nub line, it’s no surprise that Oliva have opted for a Maduro wrapper. Whilst it offers the smoker a similarly intensive experience as other Nubs, it promises bolder flavours and smoke. As with the other Nubs we’ve reviewed, the Maduro is a densely-packed stick that gives little resistance when pressed. Although this would normally be worrisome, we’ve come to trust Nub with their intuitive rolling techniques. Otherwise, the consistency is very even with the same firmness all the way down. In terms of appearance, the wrapper has the distinctive hue and sheen of a Maduro leaf. The dark brown wrapper is slightly mottled and toothy with a few distinctive veins. Finally, it produces aromas of ammonia, roasted coffee beans and dark chocolate. This blend of flavours makes it very gourmand and enticing. As we highlight in every review, we always smoke a few before the write-up. Given that cigars are a handmade product, you can expect some unique variations between each cigar. By smoking several, we’re able to establish some perspective while looking for consistency and any anomalies. After cutting the cigar, the pre-light draw offers very little resistance but just enough that you’re not sucking in air. As for the aromas, it’s a very gourmand palette of flavours with notes of chocolate, toffee as well as a lingering vanilla note. Overall, a very sweet dry draw that is reminiscent of root beer! With its 60 Ring Gauge, the Maduro takes some patience to light up but provides a healthy ember when done. The opening is particularly creamy and smooth with mild notes of spice. Surprisingly, there was very little bitterness with accompanying notes of dark chocolate. The first third could be likened to a crème brûlée given the harmony between the cream and cinnamon spice. The dark chocolate that followed was a bonus that provided depth. Surprisingly, the burn was a tad wavy compared to the razor-sharp edge found on the Connecticut and Habano. However, it corrected itself quite well just as I approached the second third. Although the intensity remained very smooth, the second third was somewhat more intense. The milder creamy and spicy notes phased out in favour of a woodier flavour profile. The dark chocolate indeed remained but there was a distinctive walnut note with a hint of bitterness. Meanwhile, I could pick out an oak note lingering beneath the surface, which I imagine was a promise of things to come. Once well into the final third, the chocolate notes subsided and the cream returned. However, this wasn’t the cream from earlier but a thicker and more intense variant with a sweet and buttery finish. Furthermore, the walnut and oak notes had grown in intensity and were remarkably prevalent. This woody finish was very enjoyable and I couldn’t help but enjoy the cigar to the end until it burnt my fingers. Finally, it wasn’t particularly peppery despite a hint of bitterness. I’d liken this to the skin of a nut like peanuts or hazelnuts. As with all Nub cigars, the cigar stacked very long and I could enjoy admiring the long ash throughout the smoke. Whilst not as strong as the Connecticut, it was still impressive. The ash was a constellation of white speckles over a steely grey backdrop. Although the burn angle was slightly wavy to begin with, it corrected itself very quickly. In fact, it would seem that the wrapper is more fragile and sensitive to heat than either the Connecticut or Habano. If you over-indulge with your flame, it can leave the burn askew for the first third. However, it’s impressive that it’s able to correct itself. If anything, it’s a great way to learn how to properly light your cigar in a relatively consequence-free way! Like the previous Nubs, the burn temperature was very cool. This was likely because of the very long ash as well as the wide gauge. Despite this, the smoke production was intense with thick clouds. However, it didn’t cause it to be overwhelming. As mentioned earlier, the resistance was still quite faint throughout whilst the final smoking time was actually longer than the other cigars. In fact, I was able to enjoy this for around 50 minutes! Although not as full as some other Maduros, the Nub is quite mealy without becoming too intense. Between this and its gourmand notes, the Maduro is great for pairing with confections or certain drinks. Firstly, I particularly love it with a coffee. 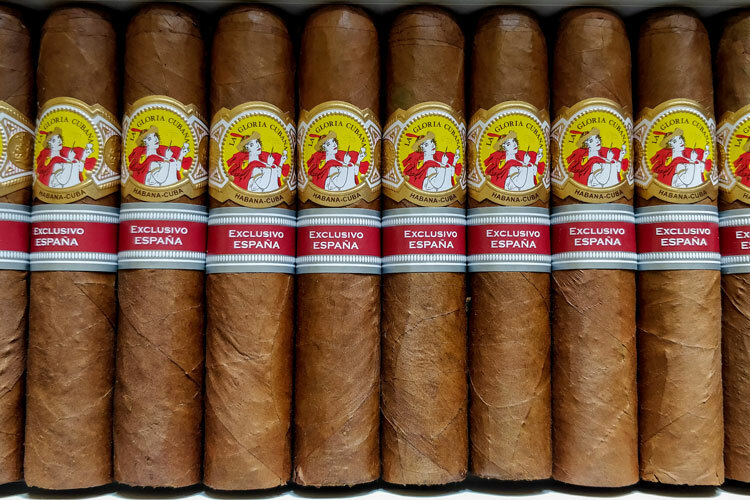 However, the same can be said with both the Connecticut and Habano for different reasons. Whilst the Connecticut adds an element of cream to an espresso, an intense coffee will extend the flavours of the Maduro. Otherwise, it goes very well with a root beer due to the cigar’s opening and sweet palate. You could even consider enjoying the Maduro with a particularly gourmand dessert like coffee cake or simply a bar of good-quality dark chocolate. Finally, I’d say that the Maduro pairs best with a very dark and well-aged rum in the way of spirits. However, I actually don’t find that it goes as well with whiskies as perhaps the Habano does. Starting with the packaging, the Maduro comes in the same nondescript wooden box as the other Nub cigars. I’m quite fond of its square shape and sliding lid, which gives it something of a bootleg feel. Being basic wood, it won’t be able to act as storage for the cigar alone, however. 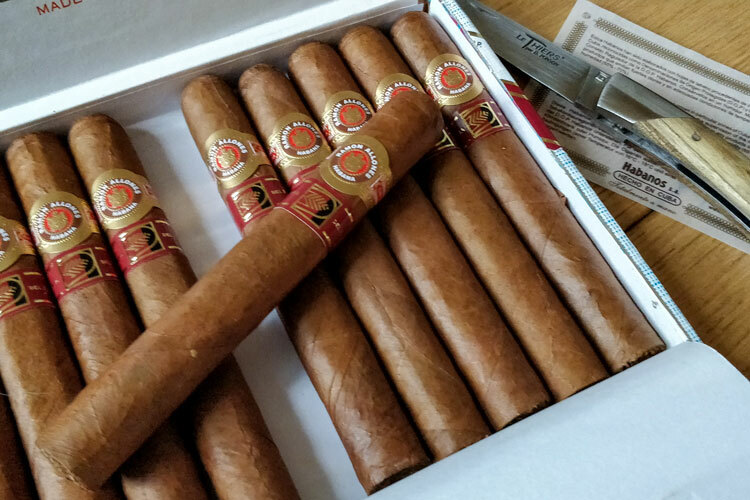 Instead, it would be better to either keep the whole box in a humidity-controlled environment or take them out and put them directly in a humidor. Meanwhile, the band is a dark brown to match the wrapper rather than a mid-brown or creamy colour like on the Habano and Connecticut respectively. A gold-coloured stripe goes all the way round but breaks to present the Nub’s contemporary logo as well as the cigar name underneath. Like the other Nub cigars, only a small amount of glue is used to hold it in place. Therefore, it’s very easy and stress-free to remove. Finally, prices are usually around $8 per stick for the Maduro but you can often find them at heavily discounted prices when on sale. In fact, it’s not unheard of grabbing these for $3 each in a sampler or box. When Should You Smoke A Nub Maduro? Like its predecessors, the Maduro is a wonderfully convenient cigar that only needs a small case for carrying around with you. Therefore, it’s great if you find yourself with the opportunity to smoke one in the space of under an hour. Furthermore, it’s a very versatile cigar despite its odd shape. Not only is it not too intense for early-morning cigar but it can be either reserved as a treat or smoked casually. Although some monocles may pop in formal places due to its short length and wide gauge, I doubt that this would be much of an issue. Personally, I favour the Nub Maduro towards the end of the afternoon for a quick moment to unwind. Another notable creation by Oliva, the Nub Maduro is a very enjoyable smoke. Although it features all the hallmarks of a Maduro cigar, it isn’t too overpowering and offers a smooth experience. Therefore, it’s an excellent choice for beginners who have yet to try a Maduro. However, it’s still one that can be enjoyed by more seasoned enthusiasts too. Reviewed by Charles-Philippe, on 05 July . "A smooth experience for a maduro. Whilst not as full-bodied as you'd expect, the Nub Maduro is a hearty and smooth cigar." Nice lighter Charles. What is it? Do you think the soft flame is okay for a cigar, or do you think a jet flame is “better”? It was a Dupont Ligne 8 that Paul gave me last Christmas. It’s a great little lighter and I’ll often use it for formal occasions. However, I’ll often rely on the efficiency of a jet flame when at home or going out casually. If you want to see all the pros and cons between each type as well as the ones that we recommend, head to our cigar lighting section!